Fit out is an extreme phase of office preparation. It includes such things as the installation of ceilings, floors, furnishings, and partitions of a building, as well as the installation of all required building services, including wiring, cabling and any arrangements for communication and internet connectivity. Office interior design plays a critical role in creating a productive work environment. In previous posts, we have shown how sustainable design improves employees’ health, increasing productivity and cutting operational costs. Before starting your search for a reliable quality commercial fit out company, we suggest you consider a few key areas influencing and inspiring office fit outs in Dubai, UAE and on a global level. Action at the global level is critical to halt the progress of global warming and the serious environmental degradation of our planet. The UAE is one of the leading countries to take its responsibility as a global actor by signing the Paris Agreement and by implementing a broad range of federal and local initiatives to ensure the future prosperity of its citizens while protecting and preserving natural resources for future generations. The UAE has led the world in creating environmentally sustainable economic policies as demonstrated in its UAE Vision 2021, the UAE Centennial 2071 and the UAE Energy Strategy 2050, establishing 50% clean energy target by 2050. Furthermore, the UAE is committed to the United Nations Sustainable Development Goals (SDGs) 2030, whereby the Government has confirmed its commitment to ensuring economic development while preserving the environment; achieving a balance between social and economic growth. More recently, in October 2017, the Ministry of Climate Change & Environment announced the three main goals of the National Climate Change Plan until 2050: mitigation, adaptation, and economic diversification. The Ministry will be coordinating cross-cutting efforts with government entities and the private sector. As part of the UAE’s vision for a “green economy,” the Ministry will be encouraging investment in sustainable initiatives and research, as well as in engaging businesses in these efforts. 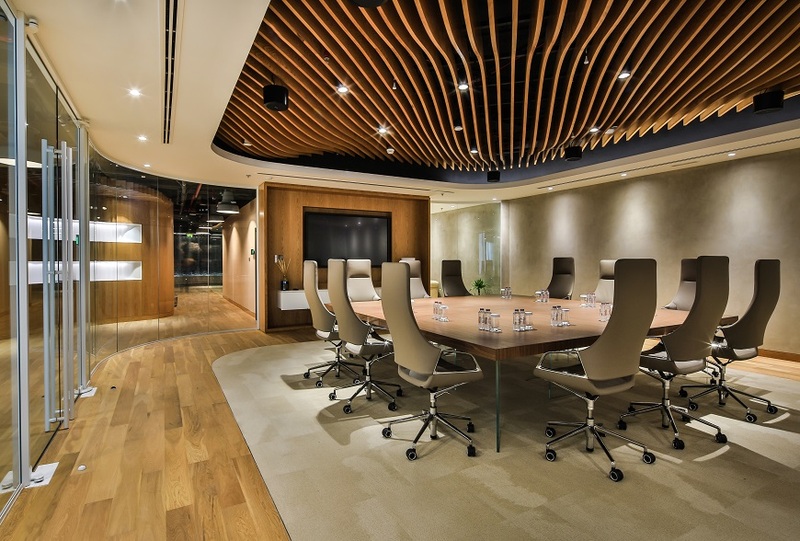 According to a recent market research report, the Interior Fit Out market in the UAE is one of the GCC’s fastest growing industries and by 2022, it will be valued at USD 973.4 million. The industry remained robust even when economic conditions were not optimum and with the anticipated improvement in the GCC’s economic picture, the local Fit Out industry outlook should improve even more fuelled by commercial growth. This 2018, the IMF forecasts a rebound for the UAE economy. GDP growth will increase to 3.4% compared to 1.3% in 2017. Recent industry reports also state that in alignment with the UAE’s strategic economic and environmental vision, sustainability will be the key focus of the fit out industry. 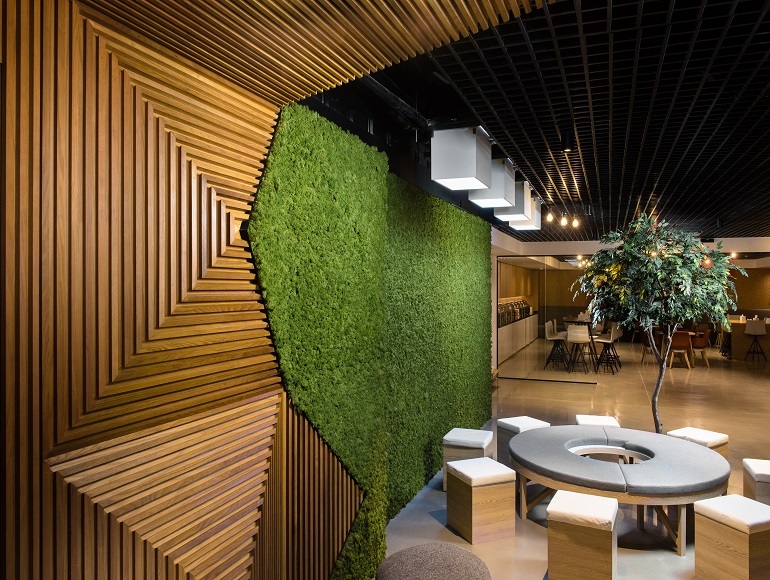 Green fit out focusing on energy and resource conservation, and the use of recyclable and local materials will be the single most important driver in commercial fit out design for workplaces. The UAE is on the USGBC 2018 list of top 10 countries outside the US implementing LEED projects. An increasing focus on energy and resource conservation and the use of recyclable and local materials is already high on the Government’s agenda. Back in 2016, Dubai municipality introduced “Al Sa’fat”, a green building rating system. 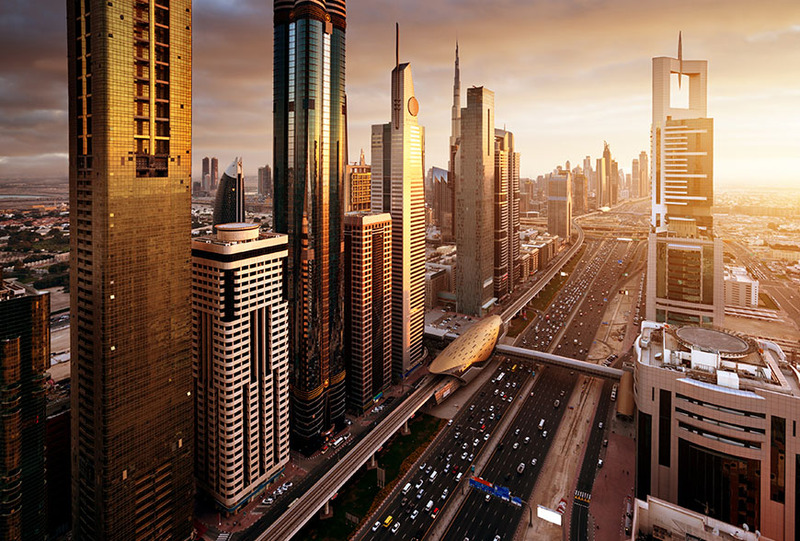 All new buildings in Dubai must meet stringent green building standards. Those that fail to reach a minimum bronze rating will not be given permits. The rating system is designed to improve the environmental performance of buildings to help Dubai achieve smart, sustainable city status by 2021. Dubai municipality will begin implementation of Al Safat system early in 2018. The UAE is famous around the world for its luxurious and modernistic architecture. But today, the country is becoming equally well-known for environmental design. In 2013, a two-story building in Dubai selling eco-friendly products was ranked as the most environmentally sustainable building in the world by the US Green Building Council. Consumers, clients, and design specialists are all becoming more aware of the need to be sustainable. But sustainable fit outs can be complex, and the design principles and solutions must be planned for from the very beginning of the fit out process. Contractors need to be informed and experienced in sustainable construction to meet local and international standards. The UAE Fit Out and interior design market flourishing with new and established firms competing for contracts. With so many to choose from, how do you decide? The last thing you want to do is pick a company at random and then be surprised by problems that may arise down the line. You are not just choosing a contractor; you are choosing a partner who can not only implement your ideas but collaborate with you and others on your team (e.g. interior designer/architect) in bringing your vision to life. Choosing the right contractor is the most important decision you will make when undertaking an commercial fit out or re-design. Here are some guidelines to help you narrow down your search for the perfect interior fit out company in Dubai. 1. Prepare a Detailed Brief · Hire experts to create a detailed guideline in advance before the project commences. · Talk to your team about what they need and what their expectations are for the fit out. · The brief should also set out the timetable for execution as well as a preliminary budget. 2. Get the Necessary Authorisation · Ensure your fit out contractor is well versed on any regulatory approvals needed and that your proposed works comply with health and safety, and building regulations. · Ensure your fit out contractor requests landlord approval if you do not own your office space. 3. Do Your Homework · Research is enormously important. Find out who are the best commercial fit out contractors in your area. · Focus your search on companies that have a reputation for honesty, professionalism, and sector expertise. 4. “Think Green & Sustainable” · Focus on contractors that have a sustainable vision and that can design and deliver energy efficient, environment-friendly, and cost-effective designs. · Substantial research has shown that “Green offices” improve profitability due to improved employee productivity and lower operational costs. · Criteria you need to keep in mind are sustainable sites, water efficiency, optimised energy performance, minimised energy use, usage of materials with recycled content, waste management, and indoor environmental quality. 5. Short-list · After you’ve done your homework, you are ready to filter the companies providing interior fit out services in your area. For example, any quick internet search will yield more than 20 contractors providing fit out solutions in the UAE. How to choose among them? · Prepare a short-list of 2-3 companies whom you would like to work with and who you think might have what it takes, not only to execute your vision but to provide suggestions to improve it, knowing that you may have to revisit the short-list and add or remove contenders. 6. Background Checks · Review Portfolio: Look at company’s portfolio to assess range and relevance of their experience. · Get Client Reviews: Call previous clients (at least 3) and ask them to score the contractor out of 10 on key deliverables such as quality, responsiveness, value for money, service level and delivery. If the overall score across the 3 clients is unsatisfactory, you know that you must eliminate that contractor from your list. · Check Financial Stability: Ensure that any company you are considering has the necessary financial resources to complete the project and that they can negotiate the best prices for materials and services on your behalf. · Pay On-site Visits: Visit their most recent delivered project since a contractor is only as good as their latest one. Also, visit their showroom if available. · Pay Office Visit: Go to their company office. You can learn a lot about a company by paying a visit to their premises. Are they organised? Do the employees look happy and engaged? Is the office in good condition? 7. Request Design & Fit Out Proposals · Share the design brief with your short-listed companies and ask them to submit a proposal within a specified deadline. o Terms and conditions of contract which includes insurance, liabilities, payment terms, conflict resolution terms and more. 8. Ask Questions · Interview your candidates and listen carefully not only to their answers but on how they answer. · Carry out both phone and in-person interviews to closely evaluate the people you will be dealing with. o Are they knowledgeable, experienced and collaborative? o What is the weekly written and verbal reporting mechanism in place? 9. Selection Criteria · Prepare a scoring chart and score each company on your shortlist according to the key deliverables including design proposal, client recommendations, budget, timeframe and experience. · After you have done all the necessary investigation, don’t forget to go with your gut. · Working with any company involves much more than nuts and bolts. The ability to cooperate and collaborate must be embedded in a company’s practices and its people. All things being equal, go with the people you like and feel comfortable with because that will make communications and project management less stressful. · Cost efficiency is always a factor, never go with the cheapest offer. o Hiring a cheap contractor can turn out to be a very expensive mistake because contractors who seem cheap are not the best at creating accurate bids. o A bid that seems low at the start will likely not have taken into consideration additional cost variations that might happen during the project. This will either be a deliberate attempt to “low-ball’ the bid, or the result of lack of experience. · Being aware that change orders are a reality in any project will save you money in the long run. o A change order calls for an amendment to the contract and there will most likely be time and cost implications. Very few interior fit out projects will be completed with no change orders, but it is important to minimise them because they can be very expensive. o Hiring an inexperienced, cheap commercial fit out contractor might cause you to end up with more change orders than if you would have hired someone with experience. 2. Don’t Go for an Unrealistic Timeframe · What has been said about budgets goes double for work schedules. Time equals money. Any contractor that gives you a much lower estimate for project completion is either inexperienced or being misleading. · Make sure all the different steps will be accomplished in a reasonable timeframe and that no corners are being cut. 3. 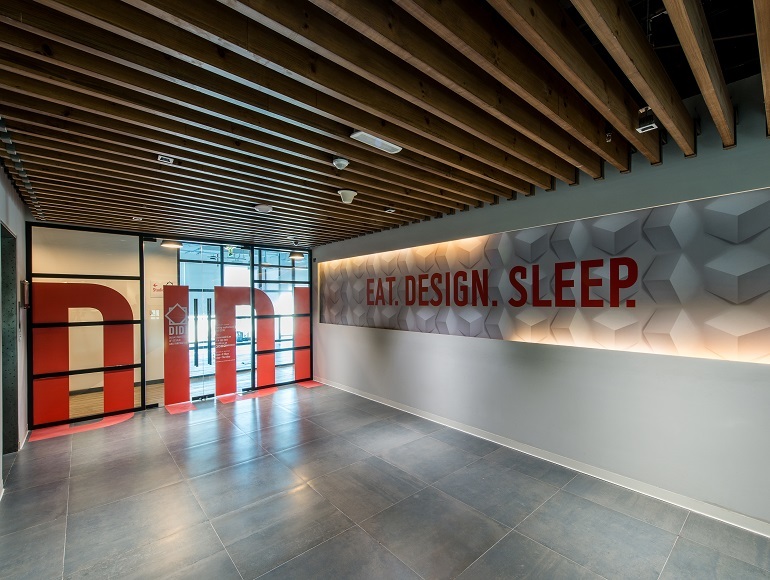 Don’t Take Their Word for It · Honest fit out contractors will want to get everything in writing because it protects them as much as the client. · Make sure that everything discussed and agreed upon is backed up in writing. · Many inexperienced contractors are willing to agree to almost anything verbally if it means winning a contract. But then during execution, you will be surprised by how bad a contractor’s memory can become. · You must be able to produce evidence and written acknowledgment of all communications and agreements. · Once you have selected a contractor make sure that you understand all the contract terms. Consult your legal advisor and seek any other professional advice before signing a contract. 4. Don’t Neglect Regulatory, Building Regulations, & Health & Safety Regulations · All projects require regulatory approvals and certain works require building control approval. · Before work begins to make sure that your selected contractor is aware of all relevant laws and regulations and that it can ensure compliance with both local and international standards. · Using a reputable commercial fit out company will ensure you cover these issues properly. · Local municipalities in the UAE are responsible for ensuring the safety of buildings through the implementation of unified building codes covering such issues as constructions safety and fire protection. 5. Don’t Just Look at the Bottom Line · When selecting a contractor to help you achieve your fit out, don’t just look at the elements involved in the execution, such as timeframe and budget, look for a company that has values, vision and commitment. · Select a company that is not only aware of the latest design and technological trends but that is a leader rather than a follower in its field. · Your office interior design expresses your company values and your brand – pick a partner that can help you articulate that in the most dynamic and attractive way possible. Choosing a commercial fit out contractor for your new office or existing facility is a huge responsibility. This is the final stage in making your offices suitable for human occupation. Your employees will be spending most of their day in these premises, so it is vital that your office environment is safe and healthy, and enhances productivity, while reducing environmental impact. 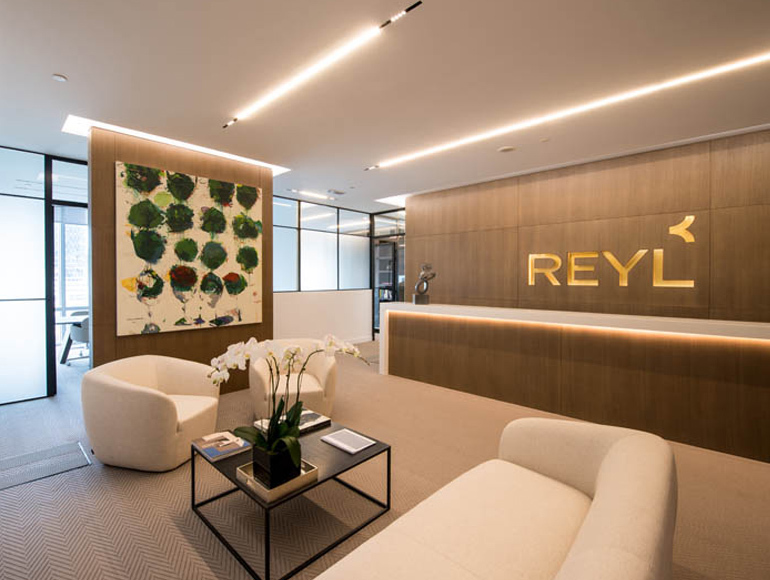 Your fit out may be the first thing that clients and partners become aware of as they visit your offices, so it must reflect your company values and brand. In your search for the perfect partner to bring your fit out to a successful conclusion, you will not be able to find a better company than Summertown Interiors. Summertown is the premier sustainable contractor in the UAE and one of the top ten interior fit out companies in the country. For over 20 years, Summertown has been providing exceptional service for its clients, from government agencies to multi-nationals and local enterprises. It has executed more sustainable interior projects with 100% success rate in the UAE than any other contractors. Summertown is the UAE specialist in green and sustainable fit outs. It was the first contractor to occupy the prestigious LEED Gold certified interiors in the UAE. It was also awarded the LEED Gold certification for its existing building operations and maintenance (LEED BOM) and it has tirelessly advocated for sustainable design. Deliver operational savings, increase building value and decrease utility costs. Click here to discover more of our first-rate interior projects.